Sugar Cane Ridge 6 Barbados. 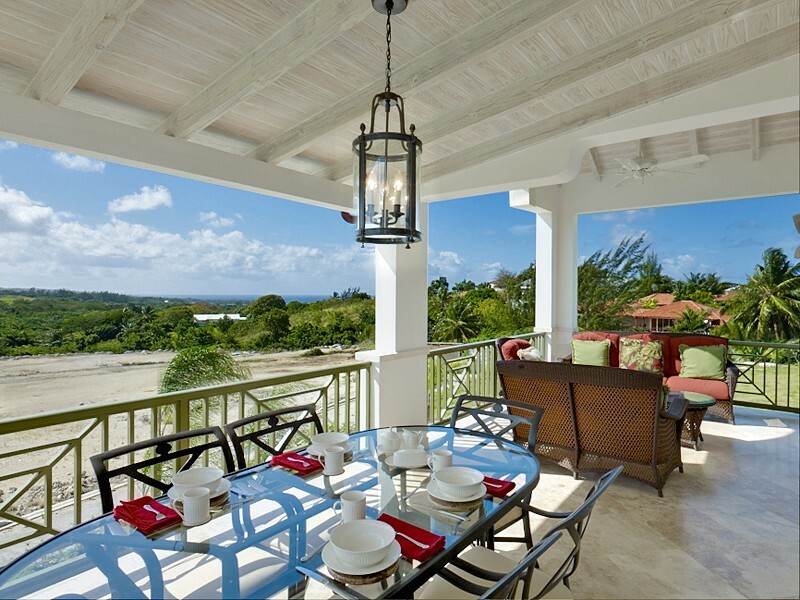 With views of both the stunning ocean and the beautiful rolling hills of the Royal Westmoreland golf course, Sugar Cane Ridge 6 is an ideal getaway for any golf lover who wants a tropical vacation. 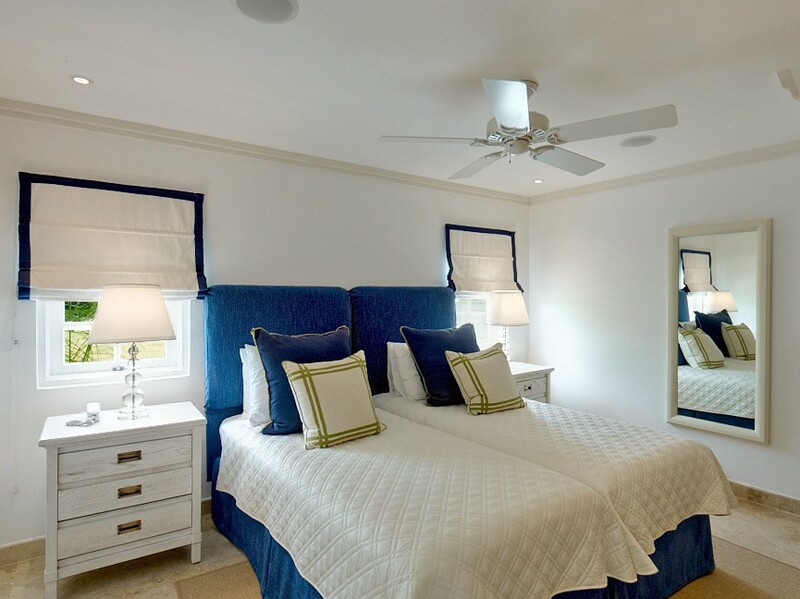 When you stay in this four-bedroom, three-bath villa, you have access to the estate’s many amenities, including the tennis courts, fitness center, dining options, community pool, beach club, and of course, the world-famous golf course. You also have access to a shuttle service that will take you to the nearby beaches and towns, and much more. 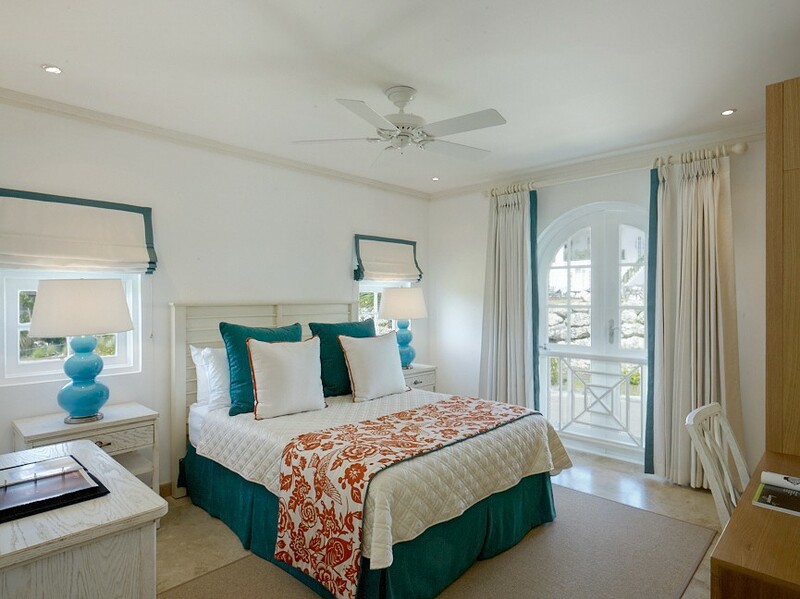 But if you prefer to lock yourself away from the world, Sugar Cane Ridge 6 is the perfect place to do it. 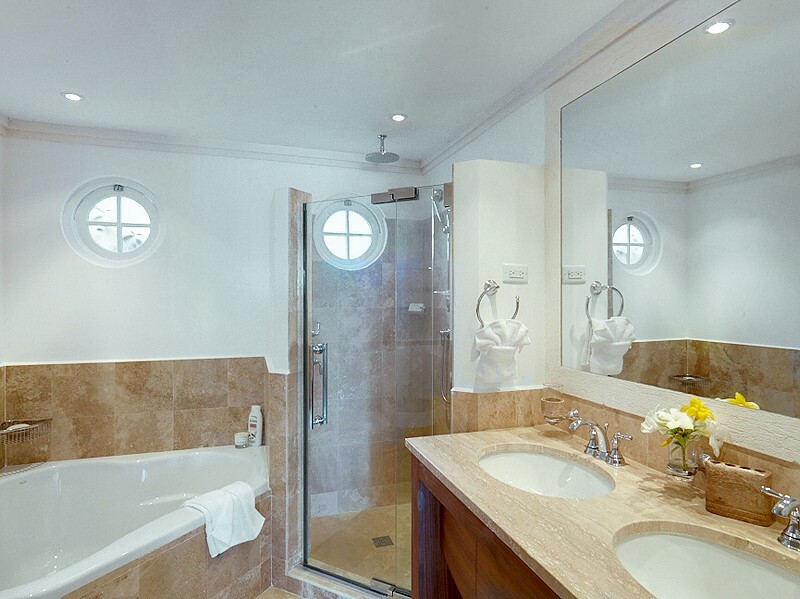 When you arrive, the large private terrace opens up onto gorgeously manicured gardens as well as a private plunge pool where you can relax in total peace. 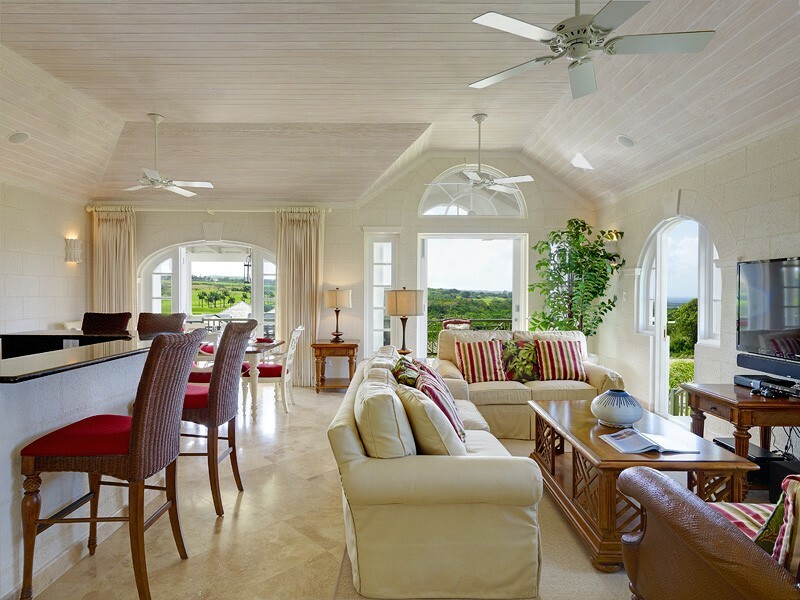 A covered verandah offers more outdoor living space and leads right inside to the large great room. High ceilings, cool floors, and a ton of space means everyone is comfortable inside or out. 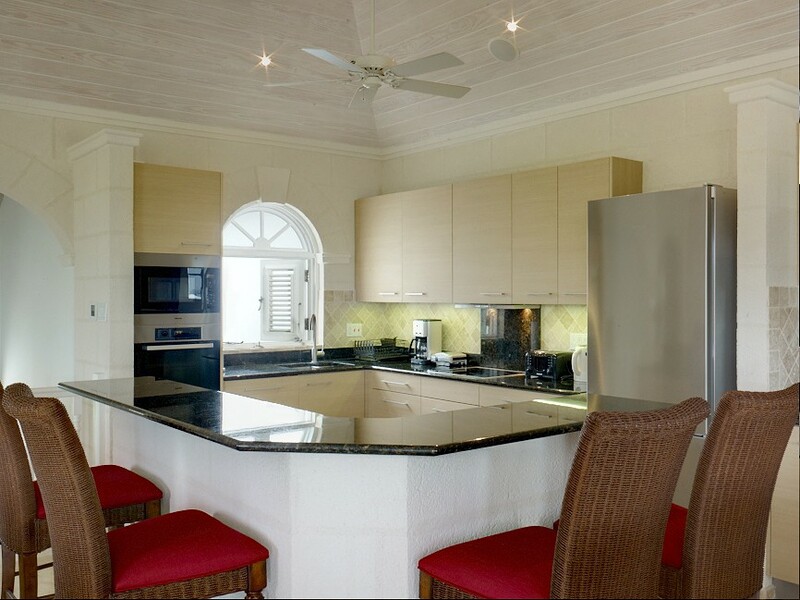 The fully-equipped kitchen lets you cook your own meals if you prefer, and the breakfast bar opens to the outdoors so that you can bring the sea breeze indoors. 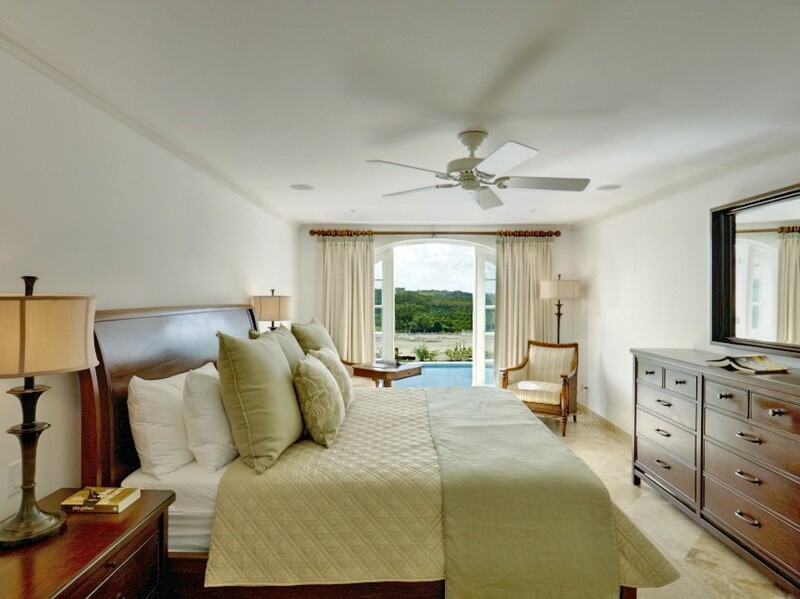 During your stay at Sugar Cane Ridge 6, you have the services of a housekeeper and a security guard to keep you safe and let you relax. Cable TV, a sound system, WiFi, and other media equipment keep you entertained while you relax. 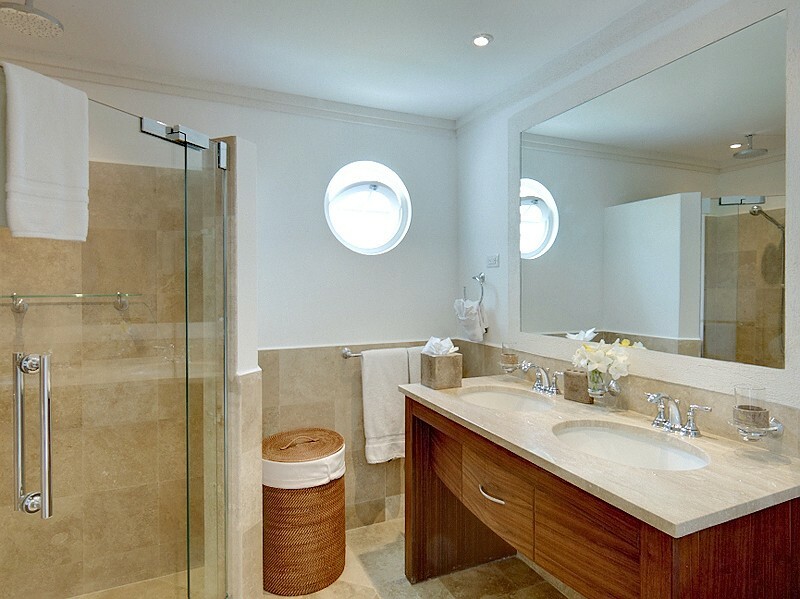 From the stunning ocean views to the modern media amenities, you may never want to leave this luxurious villa. 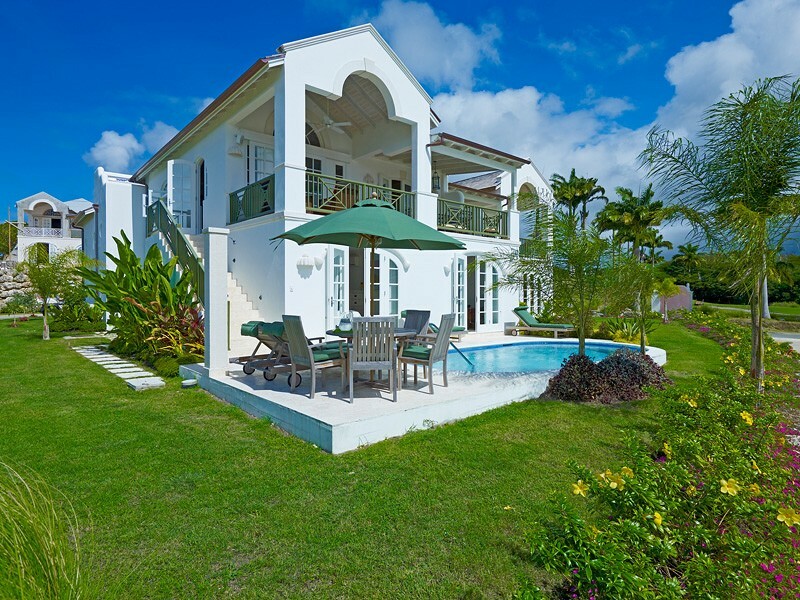 No matter how you wish to explore Barbados – from snorkeling and shopping to hiding away from all your cares in a private oasis – Sugar Cane Ridge 6 offers you what you need to feel rejuvenated by your tropical vacation. Bedroom 1: Ground floor Master bedroom with a king-size bed, A/C, ceiling fan and en-suite bathroom with bathtub, shower, vanity and WC. 2 guests maximum. Bedrooms 2 & 3: Ground floor bedrooms with two single beds (can be made up as a king-size bed), A/C, ceiling fan and shared bathroom with shower, double vanity and WC. 2 guests maximum. 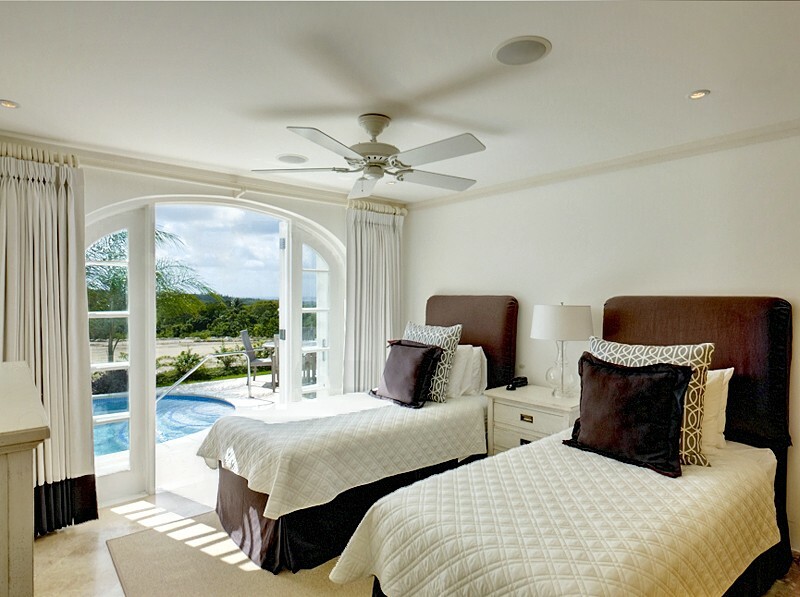 Bedroom 4: First floor bedroom with a queen-size bed, A/C, ceiling fan and en-suite bathroom with bathtub, shower, vanity and WC. 2 guests maximum. Construction is due to start on the plot next door to Sugar Cane Ridge 6 in January 2019 for 15 months.